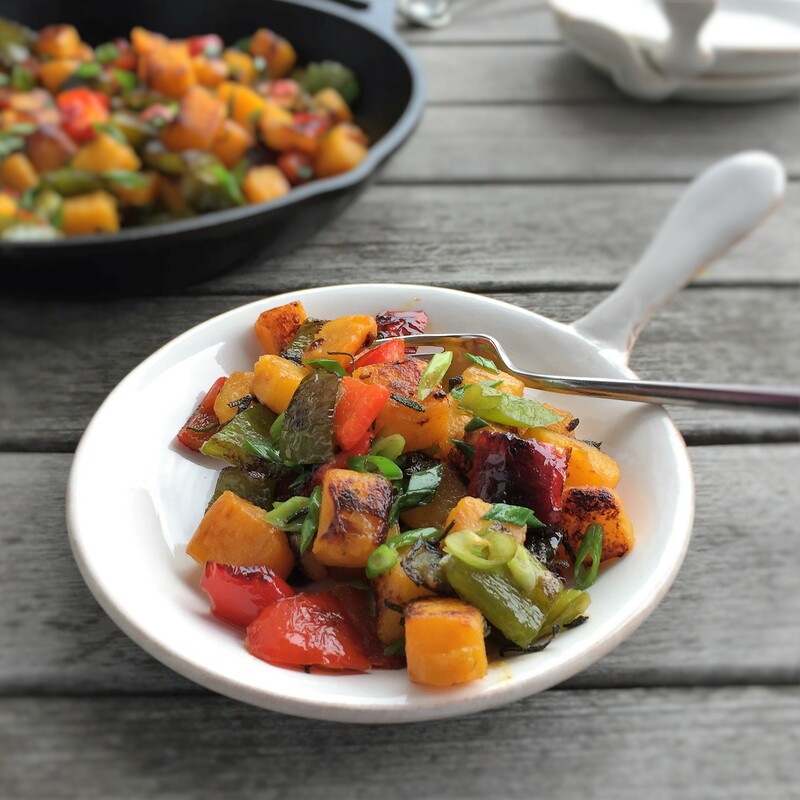 I don’t know about you … but when butternut squash is in season, I love finding ways to include in meals … at least a few times a week! So here’s my latest recipe using this crave-worthy veggie. 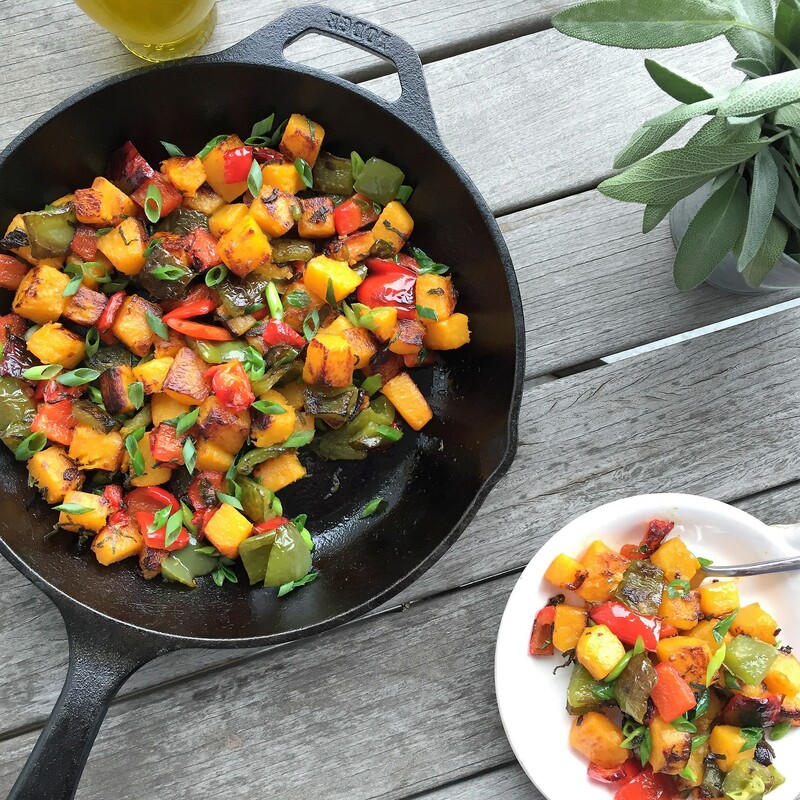 It’s a colorful and scrumptious twist on hash browns. Make it for breakfast and pair it with eggs. Think beyond breakfast, too. Serve it as an any day (or Meatless Monday!) side. If you have leftovers, they reheat just fine. Toss with pasta and goat cheese for an intriguing entrée. Or stuff them into tortillas along with refried vegetarian beans and avocado for a seasonal burrito. Enjoy! Why it’s better for you? Lots of nutrient variety and fiber! 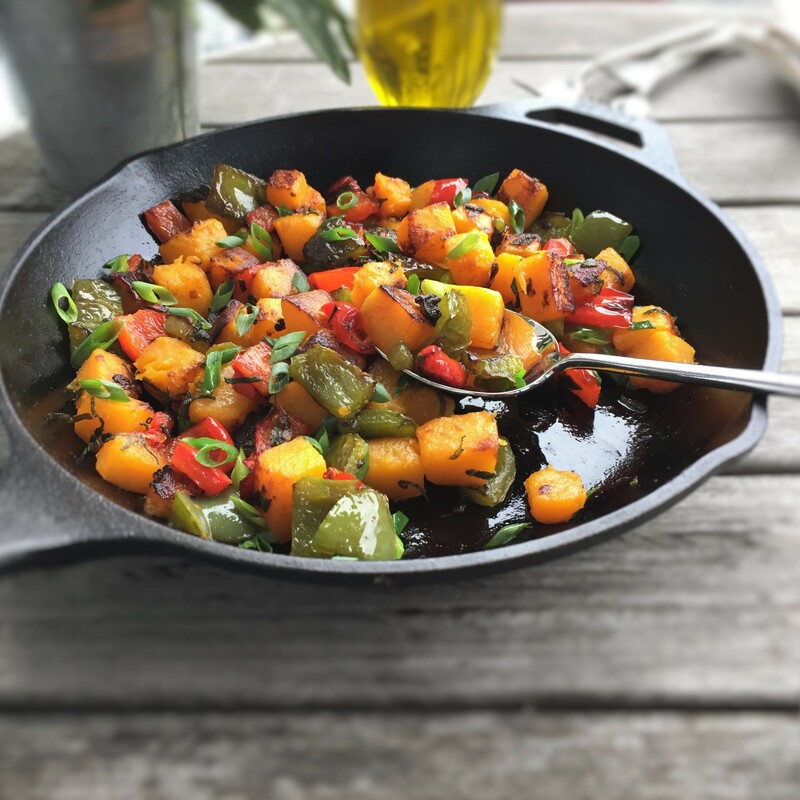 Fully heat the olive oil in a large, deep cast iron or other stick-resistant skillet over medium heat. Add the squash, bell peppers, serrano, white part of the scallions, and salt and cook while stirring occasionally (don’t overmix) until squash is crisp-tender, about 12 minutes. Sprinkle with the grapeseed or avocado oil and (if using) sage, increase heat to high, and cook while stirring occasionally (don’t overmix) until squash is tender and browned as desired, about 8 minutes. Stir in the green part of the scallions.